Although this item is not entirely a freebie, it certainly can be considered a just as good deal (especially if you are in the market for an mp3 player) since it has been marked down from its retail price of $70 to a much lower $39. This $40 discount is applied instantly, so there is no need to fuss about coupon codes or mail in rebates. 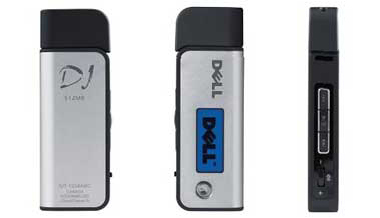 The Dell DJ Ditty only weighs 1.29 ounces, and is claimed to play about 220 songs (512MB) for up to 14 hours (Lithium Polymer battery). There also is an integrated FM tuner! You should check the site for all the details. Funny jab at Apple's iPod shuffle too..the bottom of the "Why Buy Ditty" column says that "Life isn't always random." Enjoy! Here's the Dell Ditty link! I really enjoyed reading your blog. Its hard to find a good blog with great content. if i were you i would go to http://www.autosurfmonster.com and submit this blog so thousands of others can see it for free. well i look forward to all the updates. thanks again. Get you fiber from Fibersure! Send your Name to the Asteroid Belt - Free!